You might be reading this article because you want to cut down your energy bill. Aircon price in Singapore are not cheap, so when we want to use an aircon, we would like to save as much as possible. Turning on the air conditioner doesn’t mean “expensive electricity bills” all the time. Instead, you can stay comfortable and yet save money. Over the past few years, thousands of households in Singapore have saved thousands of dollars by following few energy tips. 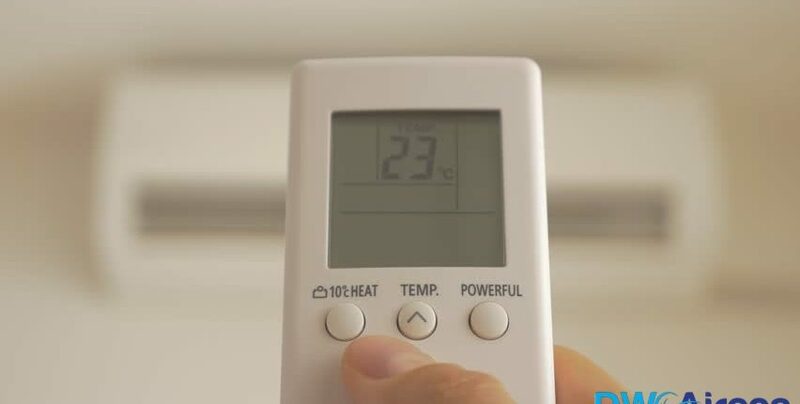 First of all, at evenings and nights when the temperature is naturally lower, you may adjust your aircon temperature slightly higher, so that it will not just cool down your room, but also spend less energy doing so. Do you know that during nights when we are sleeping, we do not need the same amount of conscious coolness? This is because as the body enters deep sleep, it will lower its temperature naturally due to inactivity and rest. Try running your air conditioner at a higher temperature during nights. If your air conditioner has a “sleep mode”, make use of it. This will enable you to save a decent amount of money in the long run. Pro Tip: The sleep mode is designed to reduce the output of the air conditioner during night hours. Its functionality depends on a timer. Air conditioners need periodic maintenance. Households with intense traffic must maintain the device regularly. For example, is your home surrounded by pesky trees? Or, is your home located near the road? If yes, your air conditioner’s filters are likely to be filled with dust and dirt. 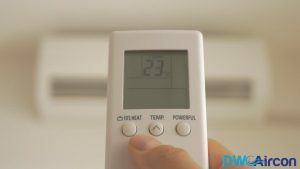 This is when the air conditioner is forced to work more which means that it will consume more energy and increase your utility bill. The air conditioner has to be serviced frequently so that it can function at the most energy efficient state. Hire a reputable company and inquire about their Aircon service cost. Pro Tip: Stick to a single Aircon company. This way, you will receive many aircon servicing price benefits. 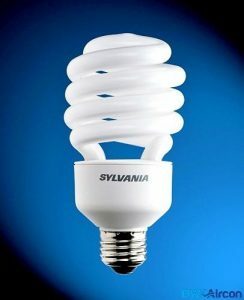 Fluorescent light bulbs, unlike incandescent light bulbs, uses less energy when lighting up and does not emit a significant amount of heat. This means that with fluorescent light bulbs, it will be less taxing for your aircon to cool down your room, which leads to lower electrical bills. When installing a new curtain, consider installing heavy curtains. The heavy curtains will act as barriers to heat, preventing heat from entering the room so that your aircon can cool the room so much faster. It can also contain the cold air in the room for a much longer time than compared to normal thin curtains. 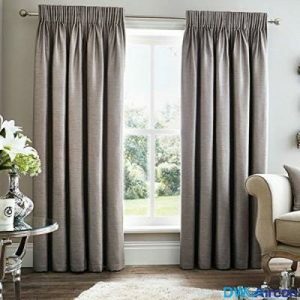 Make sure the curtains are long enough to cover the areas with possible heat sources coming in. At DW Aircon Servicing Singapore, we always put our customer’s needs first. For more energy and utility saving tips, you may inquire at +65 6653 2988 or email us at enquiry@dwaircon.com for a free consultation today. 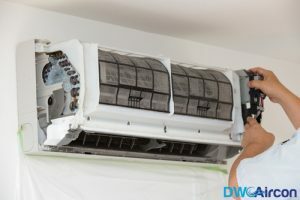 DW Aircon Servicing Singapore offers complete aircon servicesincluding reliable aircon servicing, aircon repair, aircon installation, aircon chemical wash, aircon cleaning and aircon gas top up. We focus on aircon servicing and offer aircon promotion with competitive and cheap aircon servicing prices. We also offer aircon maintenance and servicing contracts. We have a team of experienced aircon servicing technicians with over 10 years experience. We are the highly recommended aircon servicing team specializing in air conditioning services in Singapore. Call us now for a best quality aircon services at +65 6653 2988 !